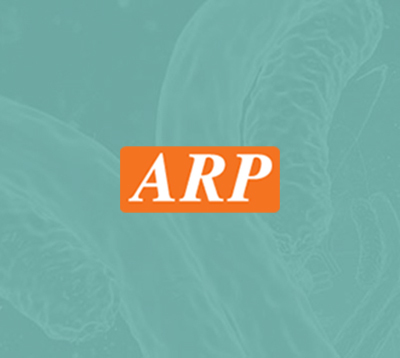 MED4, 1-270aa, uman, 01-1828-4 | ARP American Research Products, Inc. Mediator complex subunit 4(MED4) is also known as mediator of RNA polymerase II transcription subunit 4 or vitamin D3 receptor-interacting protein complex 36 kDa component (DRIP36). This protein is a component of the vitamin D receptor-interacting protein (DRIP) complex which functions as a nuclear receptor coactivator. The DRIP complex is capable of activating nuclear receptors in a ligand-dependent manner. Recombinant human MED4, fused to His-tag at C-terminus, was expressed in E.coli and purified by using conventional chromatography techniques. 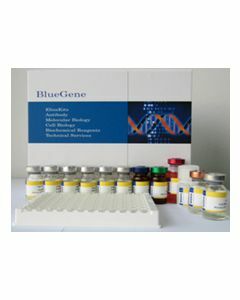 ARC36, DRIP36, VDRIP, Mediator complex subunit 4 Activator-recruited cofactor 36 kDa component, HSPC126, Mediator of RNA polymerase II transcription subunit 4, TRAP/SMCC/PC2 subunit p36 subunit, Vitamin D3 receptor-interacting protein complex 36 kDa component. Rachez C., et al. (1999) Nature 398 (6730): 824-8. Panierakis C., et al. (2009) Int J Infect Dis.13 (6):e437-43.